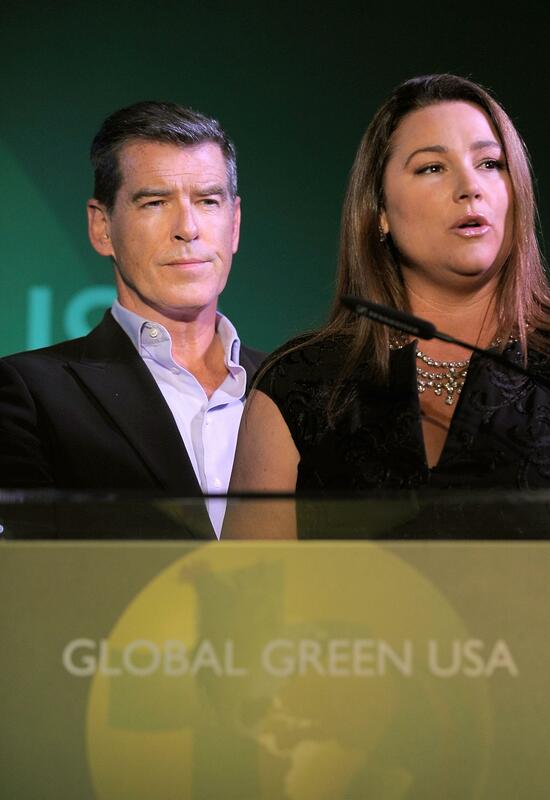 Pierce Brosnan and wife Keely Shaye Smith took to the Global Green podium Saturday night in Santa Monica to speak out in support of Whale Rights. Pierce Brosnan speaks out in support of whales at Global Green’s June Award Ceremonies in Santa Monica. Photo courtesy Charley Gallay. Pierce Brosnan, Actor and Environmentalist, who is the global whale spokesperson for the International Fund for Animal Welfare (IFAW), and Fred O’Regan, President of IFAW, have written an Open Letter to President Barack Obama. Obama administration officials are pushing to lift the global ban on whale hunting. In 1986, after two centuries of whaling pushed whales to near extinction, the International Whaling Commission (IWC) banned commercial whaling worldwide. It remains one of the 20th Century’s most iconic conservation victories. Beginning with President Ronald Reagan, the international ban on commercial whaling has been a policy championed by every single American President. Keely Shaye Smith and husband Pierce Brosnan produced PSA in support of whales and against lifting the ban on whaling. Photo courtesy Charley Gallay, Santa Monica, June 12, 2010. The PSA, which was co-written and co-produced by his wife Environmental Activist Keely Shaye Brosnan and Beef Films began airing on Sunday, June 6, 2010. 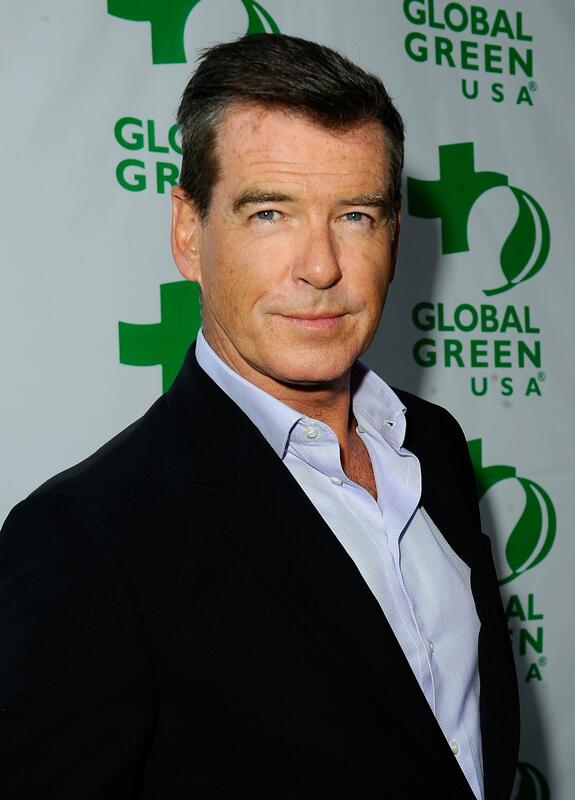 Pierce Brosnan, Actor and Environmentalist, was an honored presenter at the 14th annual Global Green USA Awards Gala. Photo courtesy Michael Caulfield. The marine devastation caused by the ongoing BP oil disaster drills down on how crucial it is that the United States extends protection to all threatened marine species – especially including the world’s largest and most majestic mammal – the whale. 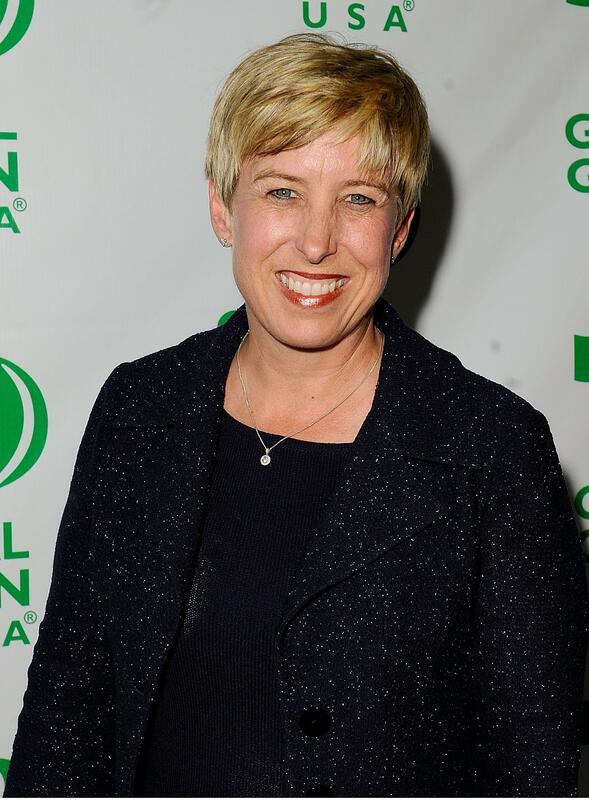 L.A. City Controller, Wendy Greuel, supports Global Green USA. Photo courtesy Michael Caulfield. Ripped from recent headlines is Peter Bethune, of Sea Shepherd’s, trial in Japan for his attempt to prevent a Japanese whaling ship from slaughtering whales in the international waters of the Antarctic. Mr Bethune is expected to be found guilty of the assault charge despite weeping in court last week and saying he had no intention of hurting whalers. Japanese courts boast a conviction rate of more than 99 per cent and if found guilty he faces a maximum of 15 years in prison. By labelling its hunting “scientific research”, Japan has often killed more than 1,000 whales a year. In 2008, Japan’s fishing fleet came back with only just above half of its target number, in part because animal rights activists, including Sea Shepherd and Greenpeace, targeted the whaling voyage. 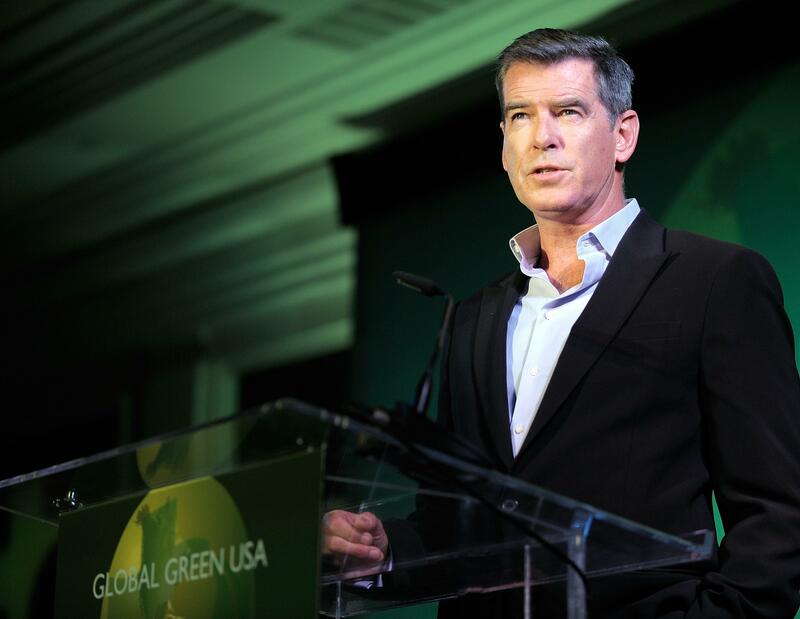 Pierce Brosnan and Keely Shaye Smith were honored presenters at the Global Green USA Awards this past weekend held at the Fairmont Miramar Hotel and Bugalows in Santa Monica. Other presenters included: Hosted by Good Morning America’s Sam Champion, Pierce Brosnan & Keely Shaye Smith, Michelle Rodriguez, Amy Smart, Alison Brie, Sharon Lawrence, Judy Greer, Rhona Mitra, Walton Goggins, James Kyson-Lee, Cheryl Tiegs, Bahar Soomekh and State Senator Fran Pavley helped tribute the evening’s honorees including the U.S. Environmental Protection Agency, The University of California System, The W Hollywood Hotel & Residences, James Cameron & Suzy Amis Cameron, and Global Green President Matt Petersen. Matt Petersen, President of Global Green USA and Award Recipient for 2010, with Cheryl Tiegs. Photo Courtesy Michael Caulfield. International Environmental Leadership Award: Recognizing their 40th anniversary as a federal agency. Mark G. Yudof, University of California System President; Matt Petersen, Global Green USA President; Marty Collins of Gatehouse Capital. 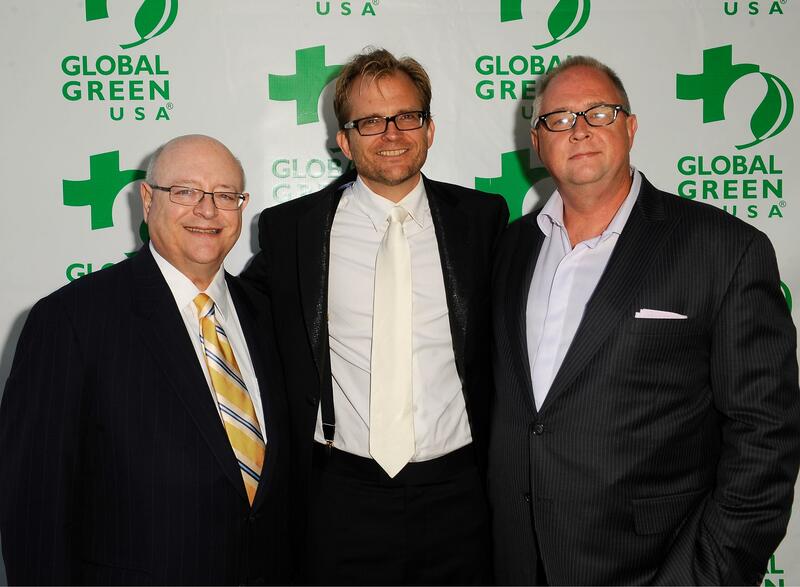 Each accepted an award at this year’s Global Green Awards Ceremony in Santa Monica. Photo courtesy Michael Caulfield. California Environmental Leadership Award: UC President Mark G. Yudof is accepting this award in recognition of the UC System’s expansive leadership in constructing green buildings on their campuses, more LEED certified buildings than any other university in the country. 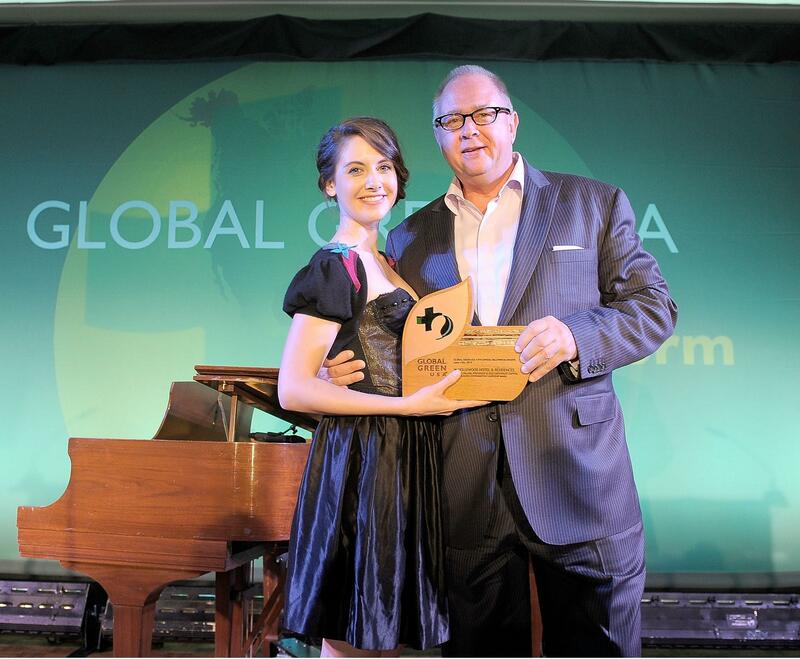 Allison Brie presents award to Marty Collins of Gatehouse Capital. Photo Courtesy Charley Gallay. Green Building Environmental Leadership Award: Marty Collins of Gatehouse Capital is accepting the award in recognition of their contribution to advancing green building with the newly opened and first LEED certified hotel in Los Angeles. Michelle Rodriguez, 14th Annual Global Green Gala Awards, Santa Monica. Photo courtesy Michael Caulfield. Entertainment Industry Environmental Leadership Award: In recognition of their longtime commitment to environmental advocacy, specifically recognizing the global impact and environmental message of the landmark film AVATAR. Founders Award: In recognition of his incredible leadership and bold vision during his 15 years of service at Global Green USA.